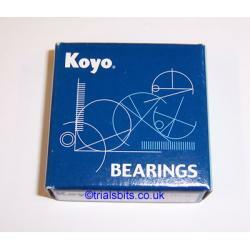 A top quality boxed Koyo 6004 2RS Wheel Bearing, made in Japan. This will fit most modern trials bikes, and is used as original equipment on many models. This bearing has an inside diameter of 20mm, outside diameter of 42mm and a depth of 12mm. 20X42X12.